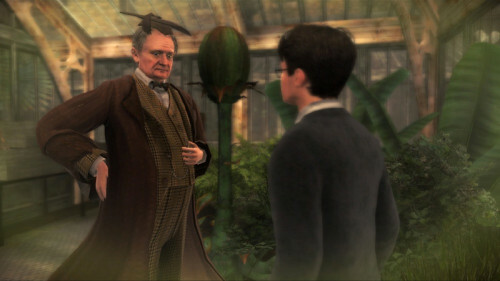 Electronic Arts released a video game to accompany each of the eight Harry Potter films, as well as a number of standalone games. These included Harry Potter: Quidditch World Cup and two video games about the LEGO Harry Potter universe. Read on to learn more about the games, platforms, and where to buy them. 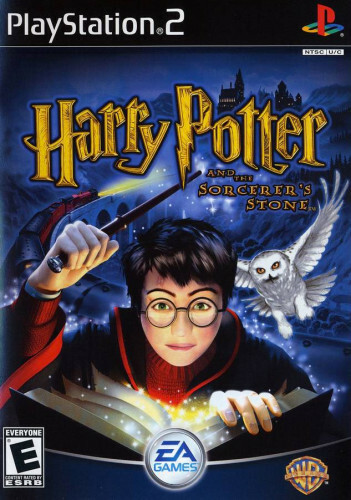 The Harry Potter and the Philosopher’s/Sorcerer’s Stone companion video game was first released in 2001. 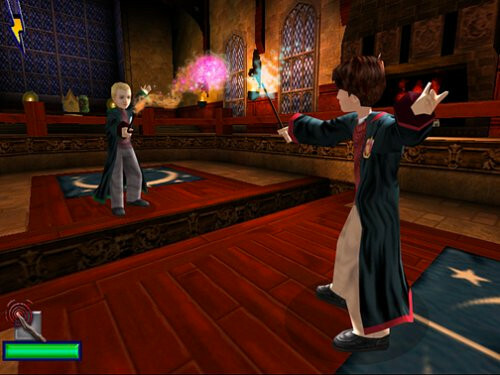 Play as Harry Potter in Harry Potter and the Sorcerer’s Stone. Learn to master all things magical in a world filled with wizardry, fun, and danger. The adventure begins at Privet Drive, then moves swiftly to Hogwarts School of Witchcraft and Wizardry. Attend lessons, learn and cast spells, and explore characters such as Ron Weasley, Hermione Granger, Draco Malfoy, and Rubeus Hagrid. Overcome physical, mental, and magical challenges to defeat the evil plans of You-Know-Who. Sneak, climb, and jump as you explore 3-D environments based on Hogwarts and its grounds. Learn to fly on a broomstick and play fast-paced, arcade-style Quidditch and win house points for Gryffindor. Battle evil creatures using all of Harry’s abilities while uncovering special items including the Invisibility Cloak, wizard sweets, potion ingredients, Chocolate Frog Famous Wizard Cards, and broomsticks. Journey into the world of Harry Potter and interact with more than 20 characters from J.K. Rowling’s magical world, including Hermione Granger, Ron Weasley, Rubeus Hagrid, the Dursleys, and Albus Dumbledore. This is the only licensed interactive PC game of the Harry Potter and the Sorcerer’s Stone bestselling book and motion picture. The Harry Potter and the Chamber of Secrets companion video game was first released in 2002. Be Harry Potter in a unique new PC adventure with more magic, friendship, and danger. Learn new spells, undertake new quests, make new friends, and challenge new adversaries as you confront the powers at the heart of the Chamber of Secrets. Do you dare face You-Know-Who again? Explore rich environments from the colorful Burrow to the dark reaches of the Forbidden Forest. Master new spells including Expeliarmus, Diffendo, and Skurge. Overcome dangerous foes from Aragog to the Basilisk. Take flight to play improved Quidditch. Interact with new characters from J.K. Rowling’s world, including Dobby, Lockhart, and Ginny Weasley. The Harry Potter and the Prisoner of Azkaban companion video game was first released in 2004. Immerse yourself in the magical wizardry of Harry Potter as you switch between characters and master spells to topple Harry’s arch foes. Alternate and play as Ron Weasley, Hermione Granger and Harry Potter to combine their strengths and confront the sinister guards of Azkaban prison, Sirius Black and the Dementors. In Harry Potter and the Prisoner of Azkaban you’ll encounter an array of new characters and creatures, undertake a variety of sub-quests, soar on a Hippogriff, reveal secrets of the Marauder’s Map, and take on their friends in exciting multiple 2-player challenges and mini games. 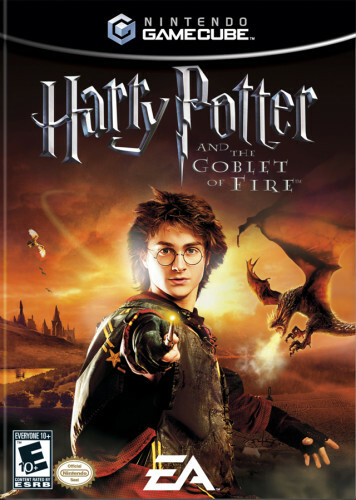 The Harry Potter and the Goblet of Fire companion video game was first released in 2005. Harry Potter and the Goblet of Fire brings back Harry, Ron, and Hermione for more adventure! Harry is mysteriously selected as the fourth contestant in the dangerous Triwizard Tournament. Each competitor in the international competition must confront a fire-breathing dragon, rescue friends from the icy depths of the Black Lake, and navigate the twisting mysteries of a vast, dangerous maze. It may sound difficult, but Harry is older, wiser and more skilled now. Still, even he isn’t ready for another show with the evil Lord Voldemort himself! The Harry Potter and the Order of the Phoenix companion video game was first released in 2007. In Harry Potter and the Order of the Phoenix, Harry returns for his fifth year of study at Hogwarts. The wizarding community is in denial about his recent encounter with the evil Lord Voldemort. The Minister for Magic, Cornelius Fudge, appoints a new Defense Against the Dark Arts teacher to keep watch over Dumbledore and the Hogwarts students. The young wizards are woefully unprepared to defend themselves against the dark forces threatening them, leaving Harry, Ron and Hermione to handles things themselves. Harry prepares a group of young wizards calling themselves “Dumbledore’s Army” for the extraordinary battle that lies ahead. The Harry Potter and the Half-Blood Prince companion video game was first released in 2009. In Harry Potter and the Half-Blood Prince, Voldemort is tightening his grip on both the Muggle and wizarding worlds and Hogwarts is no longer the safe haven it once was. Harry suspects that dangers may even lie within the castle, but Dumbledore is more intent upon preparing him for the final battle that he knows is fast approaching. Together they work to find the key to unlock Voldemort’s defenses and, to this end, Dumbledore recruits his old friend and colleague, the well-connected and unsuspecting bon vivant Professor Horace Slughorn, whom he believes holds crucial information. Meanwhile, the students are under attack from a very different adversary as teenage hormones rage across the ramparts. The Harry Potter and the Deathly Hallows: Part 1 companion video game was first released in 2010. The Harry Potter and the Deathly Hallows – Part 1 videogame is the most challenging yet, packed from start to finish with action and combat. Playing as Harry, you are on the run from the opening sequence, fighting for survival on a desperate and dangerous quest to locate and destroy Voldemort’s Horcruxes. There are no more lessons, no more training. This time the danger is real. It’s time to fight your life. The Harry Potter and the Deathly Hallows: Part 2 companion video game was first released in 2011. Harry Potter and the Deathly Hallows – Part 2 is a third-person Action-Adventure game that allows players to continue the adventures of Harry Potter. The second part of the Deathly Hallows release, players again take on quest to find and destroy the magical items known as Horcruxes, through which Lord Voldemort hopes to attain immortality. Features include: multiple playable characters, exciting wizard duels, diverse enemies including everything from Death Eaters to giants, and stunning game environments. 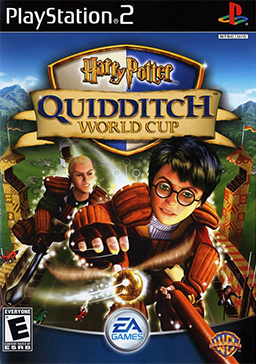 The Harry Potter: Quidditch World Cup video game was first released in 2003. Players will control every position on their team, including three Chasers who try to score with the Quaffle, two Beaters who control the dangerous Bludgers, the Keeper who protects the goal, and the Seeker who chases the elusive Golden Snitch that must be caught to end the match. 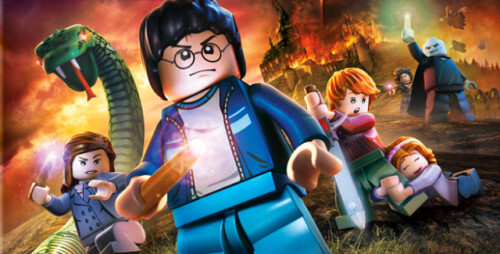 The LEGO Harry Potter: Years 1-4 video game was first released in 2010. Build the adventure from Privet Drive to the Triwizard Tournament and experience the magic of the first four Harry Potter stories – LEGO style! Explore Hogwarts School of Witchcraft and Wizardry, learn spells, brew potions and relive the adventures like never before with tongue-in-cheek humor and creative customization that is unique to LEGO videogames! The LEGO Harry Potter: Years: 5-7 video game was first released in 2011.